In 1890, the only Lutheran church in Berea was Saint Paul's, located on the corner of Eastland Road and First Avenue in Middleburg Township. At a meeting held on March 6, 1890, a group who resided in and south of the Village of Berea agreed that distance was a handicap and transportation a problem. They favored relocating the church within the village limits. Since they could not persuade the majority of the congregation to agree to their plan, they resolved to separate and form a new congregation. Formal organization was effected in a meeting held on July 27, 1890, in old Hulet Hall on the campus of Baldwin University on the south side. The Rev. John Niemann, pastor of Trinity Church, Cleveland, and President of the Central District of the Missouri Synod, presided at this meeting. A constitution was presented for discussion, unanimously adopted ,and signed by the 45 male members present. It was resolved to apply for membership in the Missouri Synod. At this meeting a call was extended to Rev. Justus H. Rupprecht, a graduate of Concordia Seminary, St. Louis, Missouri, who became the first pastor of our congregation. Under the leadership of Pastor Rupprecht, plans were immediately made for the building, not of a church, but of a school, on the plot which the congregation had purchased at the corner of Beech Street and Bagley Road. Meanwhile, services were conducted in old Temperance hall, which was located in downtown Berea, above where Reublin's Grocery Store and later Meyo's were located. On December 7, 1890, the humble frame structure was ready for dedication. The Berea Advertiser of the following week said: "The congregation met at Temperance Hall and, led by the Rev. Rupprecht and visiting clergy, marched in a body to the new church, where the formal ceremony of dedication took place. An interesting discourse was preached by Rev. J. Niemann, President of the Central District of the Missouri Synod. At 2 p.m. another sermon in the German language was delivered by Rev. H. Walker of Cleveland." "These services were well attended. In the evening a large audience gathered including many prominent citizens, to listen to the final dedicatory service. A profound discourse was delivered by Rev. H. Eckhardt of Cleveland from the text 'Enter into His gates with thanksgiving and into His courts with praise, for the Lord is good; His mercy is everlasting." "The church is a frame structure, large enough to seat 400 people, and is finished off neatly and prettily. It is seated with chairs, and will be used for a school room. The room was nicely decorated with potted plants and evergreen. There is an organ, and our German citizens are good singers, which assures excellent music. The pastor, Rev. John Rupprecht, is a fluent speaker in the German and English languages. Services are every Sunday morning at 10." There is nothing in the available records concerning the school, but it is known that Pastor Rupprecht, besides preaching and his other pastoral duties, also taught in the school, until relieved by a student instructor. Pastor Rupprecht resigned on July 19, 1896. The congregation extended a call to the Rev. F. W. Husmann, Mount Hope, Ohio, who was installed on August 24, 1896. For fourteen years he served in the ministry of our church, most of that time also in the school, until he accepted a call to St. Peter Church, Huntington, Indiana, in July, 1910. After several unsuccessful calls had been extended, the congregation's prayers for a pastor were answered when the Rev. William Bartz of Falls City, Nebraska, accepted its call. He served here three years, terminating his ministry at St. John Church to follow a call to Wittenberg, Missouri, in October 1913. Again the congregation had to seek a new pastor, but this time it was not to be a long wait. On New Year's Day, 1914, the Rev. William E. Schubert of McKeesport, PA, was installed as the fourth pastor of our congregation. During his ministry both the parsonage and school were remodeled and enlarged. The school was discontinued in 1917. During the 27 years of its existence, it had served the Kingdom well. The fullness of its blessings will be revealed only in eternity. In addition to the pastors, who conducted classes along with their regular parish duties, teacher Alfred Koenig served for two years, 1900 - 1902. Pastor Schubert felt constrained to resign in the fall of 1935, after a ministry of nearly 22 years at St. John Church. He continued to conduct services and minister to the needs of the congregation until his successor could arrive. Indeed, he continued as a faithful member until his death on November 14, 1959. The congregation then extended a call to the Rev. William C. Breda, pastor of Trinity Church, Jamaica, Long Island, N.Y. He was installed on Martin Luther's birthday, November 19, 1935. Less than a year later, plans were discussed for enlarging and beautifying the church building. Work was begun in March, 1938, and completed about four months later. The enlarged and renovated church was dedicated on June 26, 1938. In the fiftieth jubilee year, 1940, other appointments were added: a Wicks two-manual pipe organ, which was the anniversary project of the Dorcas Guild, the Senior Choir, and the Sewing Circle; new lighting fixtures, and the communion rail. Pastor Breda continued his ministry at St. John Church through the years of World War II. 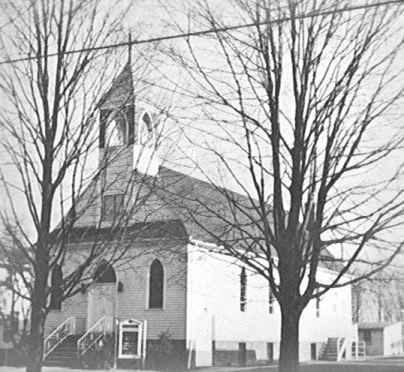 In the summer of 1948, Pastor Breda accepted the call of St. Peter Church, Waymansville, Indiana. In the fall of 1948, the Rev. Clarence W. Luekens, pastor of Grace Church, Oklahoma City, Oklahoma, accepted the call to St. John Church and was installed on November 14 of that year. The increasing size of the congregation and particularly the growth of the Sunday School moved the congregation to establish a survey committee in 1950 to determine the needs of the congregation in the foreseeable future and to suggest ways of meeting those needs. After the committee had submitted its report, the Trustees were added to the committee to make it a building committee with the specific task of developing plans for an educational building as a first step of an overall plan for the old location. As plans were being developed, the matter of relocation, which had been previously considered, was reopened. Rapid growth of the suburban area indicated that the old location, only three-fourths of an acre, would not be sufficient to assure space for the program of a growing congregation. As a result the present five and one-half acre site at the corner of Prospect and Fair Roads in Strongsville was purchased. The original location with its building was sold to Baldwin Wallace College with the provision that the congregation could continue its use of the church and the old parsonage until its new structure was completed. Plans were drawn by the architectural firm of Wefel and Wefel for a two-floor building with ample space for worship, Sunday School, and fellowship activities. Ground was broken on October 18, 1959. The laying of the cornerstone took place on June 12, 1960. The dedication on October 16, 1960, was an occasion of great joy for all the members of our congregation and many friends. There was increased activity and much growth during the following years. Rev. Clarence W. Luekens retired as Pastor of St. John on June 7, 1973. He was awarded the title of Pastor Emeritus and faithfully served our congregation 15 years in this capacity. Rev. 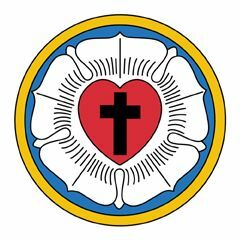 Gary D. Bernath, from St. Peter Lutheran Church, Waymansville, Indiana, accepted the call to St. John and was installed on July 22, 1973, and served our congregation until 1993. Rev. Dean C. Kavouras was installed as Pastor of St. John on July 24, 1993. In 1994, Pastor Kavouras resigned and St. John extended a call to Rev. Thomas Sharpe, pastor of Christ Lutheran Church in Elkhart, Kansas. Pastor Sharpe was installed on March 5, 1995. In 2001, Pastor Sharpe accepted a call to Saint Matthew Lutheran Church in Sonora, California. Saint John extended a call to Rev. T. Richard Marcis, Sr. to serve as Interim Pastor. Rev. Marcis has been in pastoral ministry for 45 years. He retired from Prince of Peace Lutheran Church in Farmington Hills, Michigan, in 1990. Since then, he has served as Interim Pastor at Grace Lutheran Church in Elyria, Ohio, and at Pilgrim Lutheran Church in Lakewood, Ohio, before accepting the call to Saint John. We were blessed to have Pastor Marcis serve us until November, 2003. Rev. James A. Haugen, Jr. accepted the call to St. John and was installed on November 16, 2003. He comes to us from Trinity Lutheran Church in Billings, Montana, where he served as the Assistant Pastor. Pastor Haugen and his wife, Jenny, have been married 15 years. God has blessed them with four boys, James, Noah, and twins Caleb and Adam. Pastor Haugen looks forward to serving the people of St. John for many years to come. Click here to view and read about the Installation of Pastor Haugen.